Texas signee Reese Leitao pled guilty to misdemeanor drug possession on Tuesday and will receive a four-year deferred sentence as part of his agreement with Tulsa County prosecutors. If Leitao stays out of trouble for four years, his attorney said, his record will be wiped clean in the state of Oklahoma. Now, all eyes turn toward Texas coach Tom Herman. Will Leitao be allowed to join the Longhorns this summer or not? “We’re aware of the recent proceedings regarding Reese Leitao and are gathering facts,” Herman said in a statement released hours after Leitao reached a plea agreement. Leitao was arrested on Feb. 28 on one felony charge of drug possession with intent to distribute within 2,000 feet of a school. He confessed to authorities that he had 20 Xanax pills — 19 hidden in his underwear — and $1,289 in his wallet and another $20 in his backpack, according to the arrest affidavit. Leitao has “some probationary work,” including speaking engagements at schools, and will be under the supervision of the district attorney, Smallwood said. Leitao is required to pay a $1,000 fine and will pay $40 per month to the Tulsa district attorney’s office as a fee. It was unlikely that Leitao would have been allowed to join the Longhorns had he pled guilty to a felony charge. Strictly from an on-field perspective, Herman needs Leitao, a 6-foot-5 tight end from Jenks, Okla. The position is critically thin at the moment for Texas. 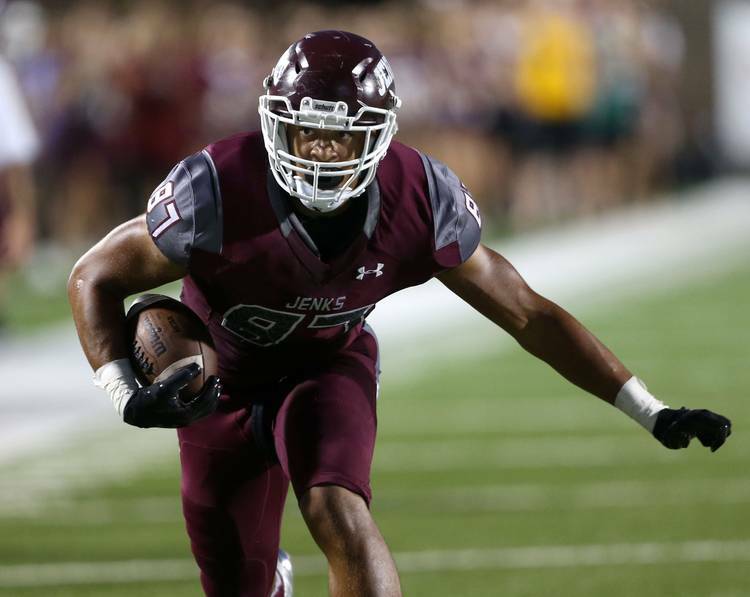 As an all-state honoree, Leitao was ranked the 119th-best tight end recruit nationally and the eighth-best player overall in Oklahoma, according to 247Sports’ composite ratings. It’s now up to Herman and UT officials to determine if they will give Leitao a second chance, too.